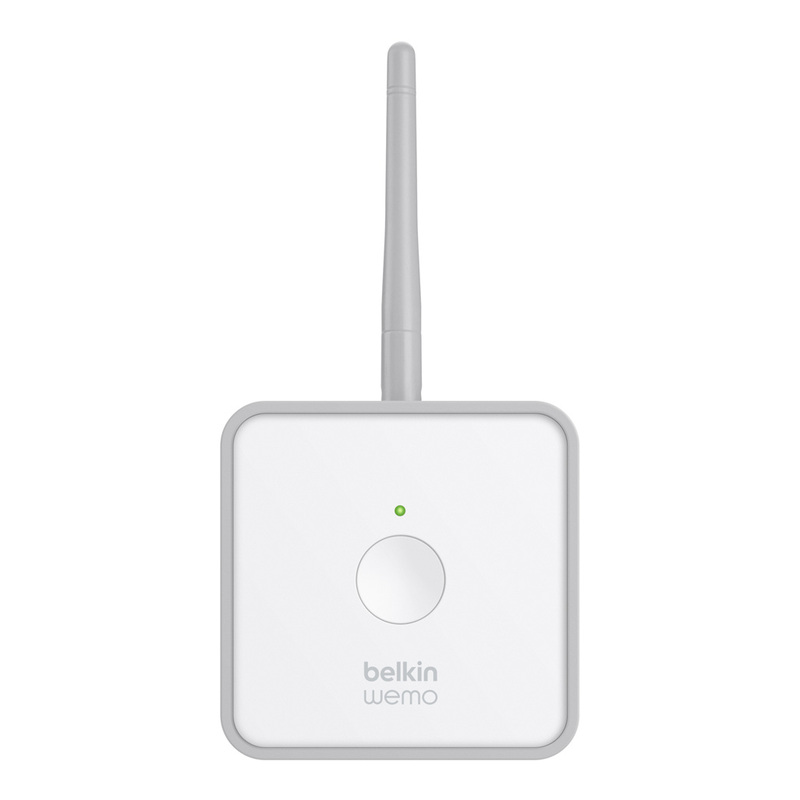 PLAYA VISTA, CALIF. – NOVEMBER 12, 2014 – WeMo, the home automation ecosystem created by Belkin International, today announced availability of the WeMo Maker, a build-your-own WeMo solution that enables users to control or monitor any low-voltage electronic device from a smartphone or tablet. Available for purchase next week, the WeMo Maker was named one of Popular Science magazine's Best of What's New winners for 2014. The WeMo Maker connects to nearly any device controlled with a low-voltage DC switch, allowing users to turn devices on or off or put them on schedules via any smartphone or tablet and the WeMo app. The WeMo Maker also enables users to connect to a wide range of 5V sensors for remote monitoring and automated control via sensor inputs. Sensors that will work with WeMo Maker include light sensors, motion sensors, moisture sensors, temperature sensors, flame sensors, and carbon monoxide sensors, to name a few. WeMo Maker seamlessly integrates with other WeMo products and also works with IFTTT to connect to a wide variety of Internet services and applications such as email, SMS, Facebook, Twitter, etc. "The beauty of the WeMo Maker is that it allows almost anything to be "WeMoed" – a pet feeder, motorized window treatments, sprinkler systems, pool pumps, or even a Nerf Dart Gun – easily bringing the Internet of Things to practically any device you can think of, without having to know how to code," said Ohad Zeira, director of product management for WeMo. "We are thrilled that Popular Science recognized the WeMo Maker's unique ability to bring the maker movement to more people and named it to their annual Best of What's New list." The Popular Science Best of What's New Awards honor the top 100 tech innovations of the year and are given to products and technologies that represent a significant leap forward for their respective category. "Winners of Popular Science's Best of What's New Award tend to change what the future will look like," said Cliff Ransom, editor-in-chief of Popular Science. "This year's 100 honorees are no different: They are revolutionary in their respective fields." "Not only does WeMo Maker round out the WeMo ecosystem with a DIY option, but it also provides fantastic market research opportunities and allow us to see exactly what kind of WeMo devices our users are looking for," said Zeira. "We can't wait to see what people will create using the maker once it is available to a broader audience." The WeMo Maker will be available for purchase on November 18 at Belkin.com, Amazon.com and select retailers worldwide for an MSRP of $79.99. The WeMo app is available on the App Store and Google Play Store at no cost. The Best of What's New issue of Popular Science is on newsstands now. WeMo is Belkin's award-winning home automation brand and the leader in delivering customizable smart home experiences. Designed to be the most approachable entry point to the smart home, WeMo products and partner products empower people to manage, monitor and adjust their electronics, appliances and lighting from anywhere at any time via the free WeMo app. To learn more about WeMo, visit www.WEMOthat.com or follow us on Facebook and Twitter. Belkin makes people-inspired products that harness the power of technology to enrich people's lives. To learn more, visit us on the Web, or follow us on Facebook and Twitter. Founded in 1872, Popular Science is the world's largest science and technology magazine; with a circulation of 1.3 million and 6.8 million monthly readers. Each month, Popular Science reports on the intersection of science and everyday life, with an eye toward whatʼs new and why it matters. Popular Science is published by Bonnier Active Media, a subsidiary of Bonnier Corporation. 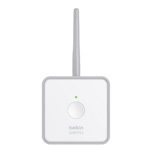 Belkin and WeMo are registered trademarks of Belkin International, Inc. App Store is a service mark of Apple Inc.